12:00 – Embarking in Listvyanka. Tourist settlement Listvyanka is located on the southwest shore of Lake Baikal, 65 km away from Irkutsk, at the source of the Angara River. The city and the settlement are connected by picturesque as-phalt road. Accommodation on board the motor-ships. Acquaintance with a crew, safety instructions and briefing on general behavior on board the ship and on Baikal. A way to Circum-Baikal railway (travel time is about 2 hours). 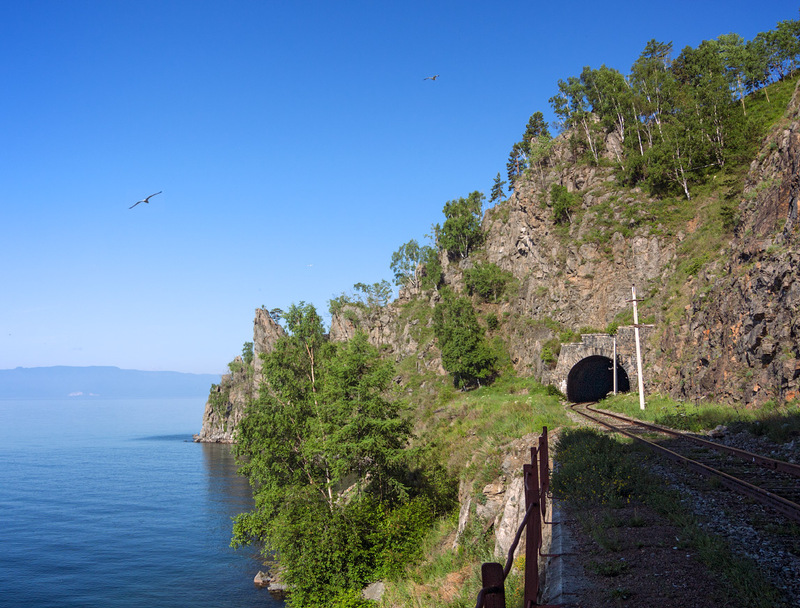 Circum-Baikal Railway is a unique historical and cultural complex, which includes monuments of his-tory, technology, engineering, nature and absolutely unique landscapes. 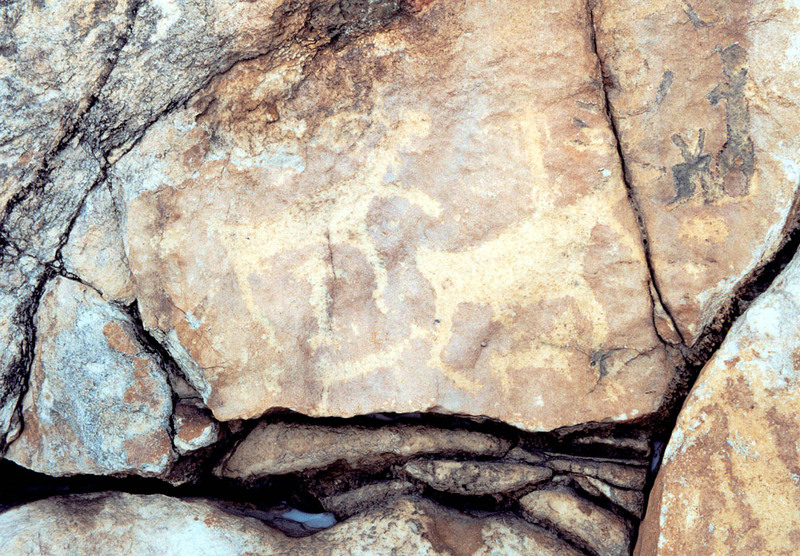 Constructive works and civilian objects left by past cultural epoch the most directly touch with geocomplexes. Walking guided tour through abandoned tunnels and galleries of the beginning of the 20th century after dinner. The route starts from Ulanovo station (Khvoinaya – 98 km of CBR) and takes place along the lake shore (about 1.5 km) among a most beautiful nature. Khvoinaya station (Ulanovo). Khvoinaya is the only station that was abandoned after the line had become a deadlock. There are still a few facilities. They are a stone building with a water-lifting pipe and the foundations of lost buildings. Four station buildings of "Nicholas Train Empire" style were re-constructed. 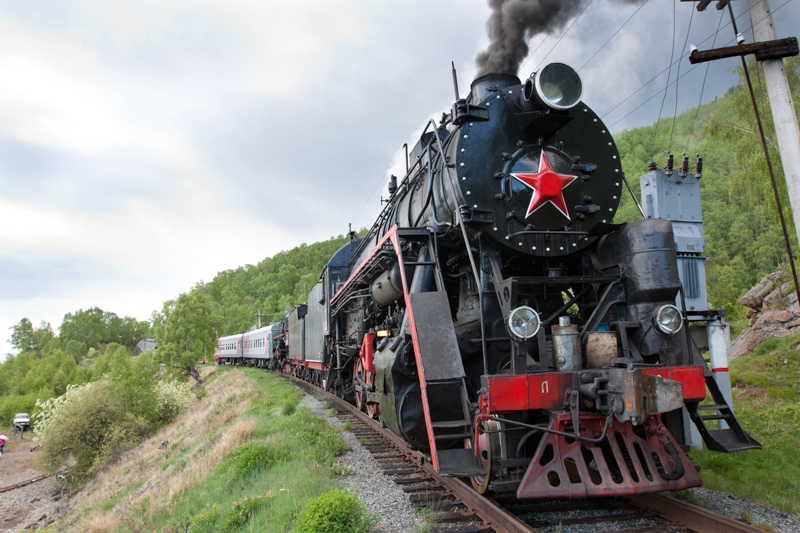 Overnight stay on board the motor ship in one of the convenient bays of Circum-Baikal Railway. The captain can take a decision to bring the motor ship up on the night in Bolshie Koty Settlement located 40 km away from Circum-Baikal Railway due to poor weather conditions. Bolshie Koty is a settlement located on the western shore of Lke Baikal, 20 km to the north of Listvyanka settlement. 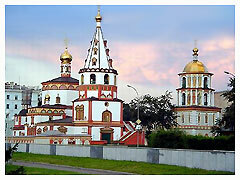 Its name originates from the words “kotky” or “koty”. It was a name of wooden shoes that was made for convicts in this place. At first Bolshie Koty was a settlement of gold diggers. Gold mining began there in 1842. Exploration has been conducted in the valleys of the rivers Bolshie Koty, Malye Koty and the river Sennoy. More than 160 kilograms of gold have been mined near Bolshie Koty for half a century. The settlement has become one of the most convenient and popular tourist des-tinations in recent years due to its proximity to Irkutsk and Listvyanka on the one hand and due to its sufficient isolation allowing to preserve the picturesque local nature on the other hand. There is a Mu-seum of Baikal and the Aquarium of the Institute of Biology in Bolshie Koty. 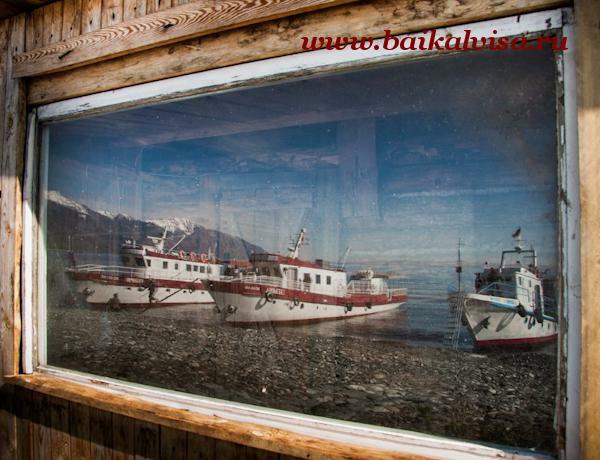 One can also buy unusual Baikal souvenirs in local souvenir shops and have interesting walking tours. Start of voyage from lodging place to Peschanaya Bay at about 6 a.m.. The bay is famous for its stilted trees, magnificent sea views from the cliffs surrounding the bay and a great sandy beach. Breakfast and dinner on board the motor ship. As an option you can have two-hour walking tour to Sennaya bay, a cordon of Baikal National Park, along the scenic mountain path passing over the lake shore along the spur of the Primorsky Range. 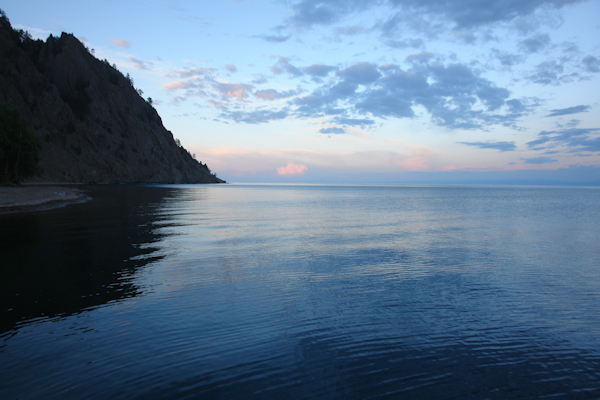 On the way you would visit Babushka Bay that is one of the most beautiful on Lake Baikal. Russian banya on the shore of Lake Baikal in the evening should be paid for separately to maintainer at destination. After good warming up in banya one can take a dip in cold water of Baikal. Overnight stop on board the ship. The distance of the voyage is 100 kilometers, travel time is 6 hours. Start of voyage at about 6 a.m. from Sennaya bay along the western shore to the North to Olkhon Island, the largest island on Baikal and one of the sacred places of the Buryat people and shamanistic religion. Travel time is 8-10 hours. 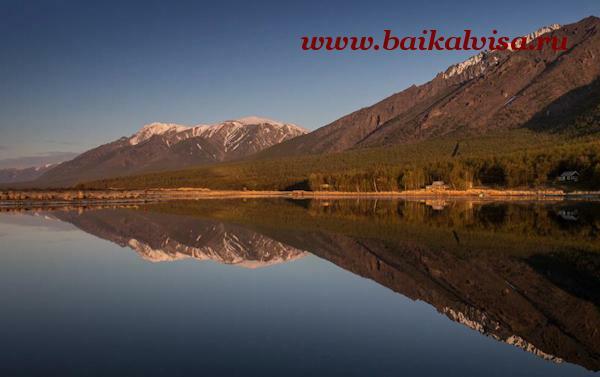 Lake Baikal is a blue heart of Siberia and Olkhon Island is a heart of Baikal. The island is a geographi-cal, historical and sacral center of the lake and the center of ancient legends and historical tales. Passage the strait Malye Olkhonskye Vorota (Small Olkhon’s Gate) that is the narrow strait between Olkhon Island and mainland. Disembarkation of passengers at about 2 p.m. in Sakhyurta (MRS) Settlement on Maloe More (the Small Sea). As an option one can disembark in Olkhon Island near ferry line (it’s necessary to notify about it in advance). The price includes: accommodation on board the ship, three meals a day on board the ship, accompa-nying services, excursion programme, spinning, sauna on board the motor ships, insurance. If you have any question during realization of the cruise programme (departure time, the route, change of the program due to weather conditions, number of people, places of embarkation and disembarkation of tourists), please contact the maintainer on the mo-tor ship! Хотите забронировать cruise «Baikal voyage». Route 1? Звоните: +7 (3952) 550-464.